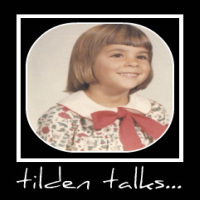 tilden talks...: Myrtle Beach - Here I Come! Lately, I've become very interested in two things: lighthouses and vacations. I have devised a plan which will allow me to combine the two. There are great lighthouses along the South Carolina coast as well as fabulous seaside resorts. I've never been to Myrtle Beach and I love the seaside. I could stay at a great resort near the shore and day trip to see some of the lighthouses in the area.I'm going to check availability at http://www.horizonmyrtlebeach.com. I like the amenities this resort offers and it's steps away from the shore. I love the idea of a lighthouse. They combine beauty and architecture with a warning to ships at sea. It wasn't so long ago that a seagoing vessel and the men aboard used only a sextant, a compass, a marine chronometer and the sky to navigate. A lighthouse would warn the vessel to steer clear of the shore and the dangerous rocks or shoals within. Since I've seen all the lighthouses in my area, I think it's time to visit some I've only seen in photographs. I'm looking into one of Myrtle Beach best hotels. I can get in a couple rounds of golf between trips to see the lighthouses. I'm so looking forward to staying in a Myrtle Beach hotel. As my home base for my lighthouse explorations, I will have everything I need for my uncharted adventures. Sand and surf, golf, and great accommodations will be the perfect close to my day trip to a lighthouse! I'll meet ya BOTH there! I love lighthouses too! And beaches!